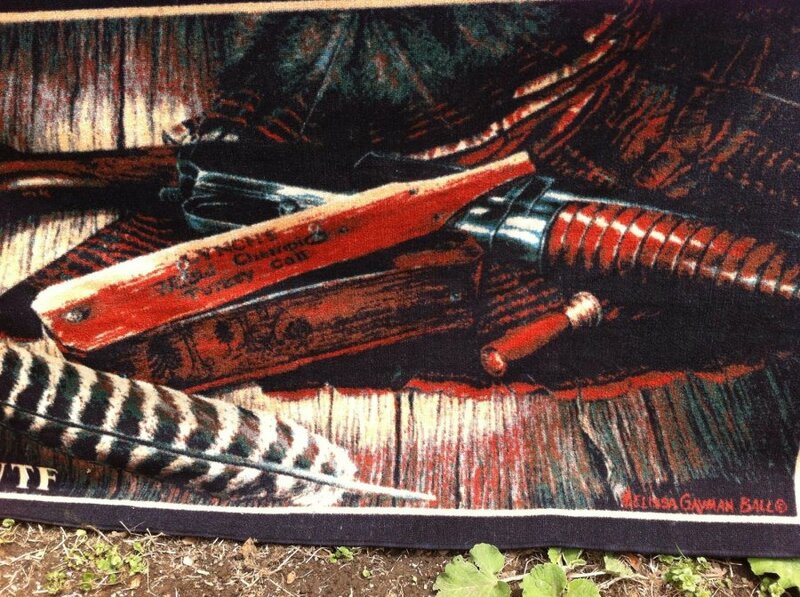 What's 'Bound rug 31/2 x 51/2 by Melissa Gayman Ball of Lynch turkey call, shotgun, shell. With NTWF on it' Worth? I'm looking to find out what 'Bound rug 31/2 x 51/2 by Melissa Gayman Ball of Lynch turkey call, shotgun, shell. With NTWF on it' is worth.